Of course at Phones Review we try to inform readers about the latest tablets and smartphones but we also attempt to keep readers in the know about operating system updates for their devices. Today we have news that the LG Optimus Vu 2 (Vu II) is now receiving the Android 4.1 Jelly Bean update and for some owners it will have seemed a long wait since the phone was first launched on Android Ice Cream Sandwich. 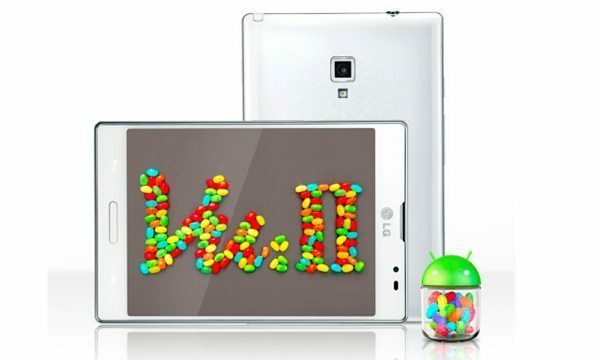 The rollout of Android Jelly Bean 4.1 to the Optimus Vu 2 began today in Korea and although this device may not be one that immediately comes to mind for some, LG has now sold over one million units of this and the original Optimus Vu. The Optimus Vu 2 is a phablet type of smartphone with a large 5-inch display and when it was released in Q4 last year many were surprised to see it running Android 4.0 Ice Cream Sandwich, rather than the later Jelly Bean that some other phones were using, such as the Galaxy Note 2. The official LG Android Jelly Bean update is heading first to versions of the Optimus Vu 2 that were purchased on SK Telecom and KT. However if you purchased this smartphone from LG U+ the rollout isn’t expected to commence until some time in early March. The news came in an LG Korea press release. Good news then if you’re one of the many owners who’ve been waiting for this update and who should notice a significant change between ICS and Jelly Bean. We’d like to hear from you about whether your device has already received this desirable upgrade? Send us your comments about this.